"Mr. Bitcoin" will never forget where he left his wallet. It's implanted under his skin. 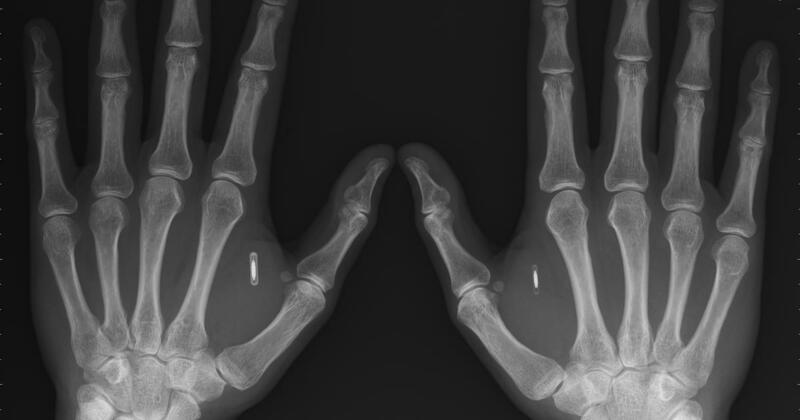 The Amsterdam-based Bitcoin entrepreneur, whose real name Martijn Wismeijer, turned himself into a real-life cyborg by having a miniature digital communications chip implanted in his hand. Wismeijer and his compatriots got tiny NFC chips injected into their hands. NFC, which stands for near-field communications, is the same type of technology built into the Apple Pay digital payment system and numerous Android devices.